Book a combo package of 4G SIM Cards and Ocean Park Tickets with 26% off on Klook! Are you traveling to both Hong Kong and Macau? Klook recommends the Hong Kong/Macau WiFi for constant internet access! While in Hong Kong, don't miss out the Hong Kong Disneyland Park and Ngong Ping 360 Cable Car ride! We know that you love to be able to connect with your friends and family, and we also know that you don't like roaming costs. 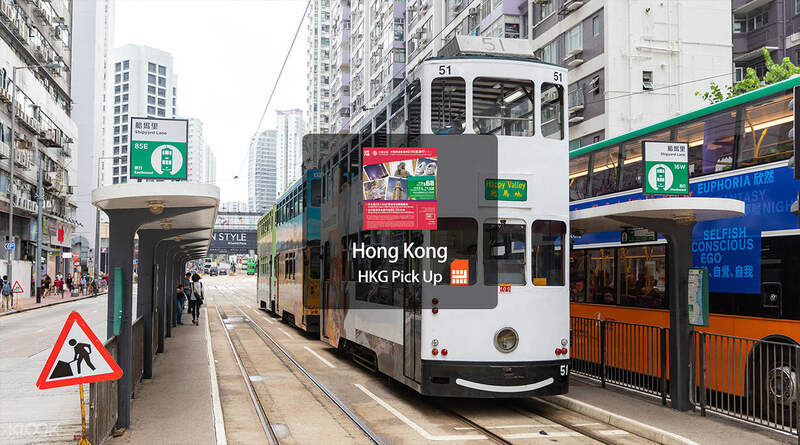 With a local SIM card available for pick up when you arrive in Hong Kong and mobile data, you'll be able to send those holiday snaps to family and friends, look at maps to find the best restaurants and cafes, and stay on top of your emails while you're away. 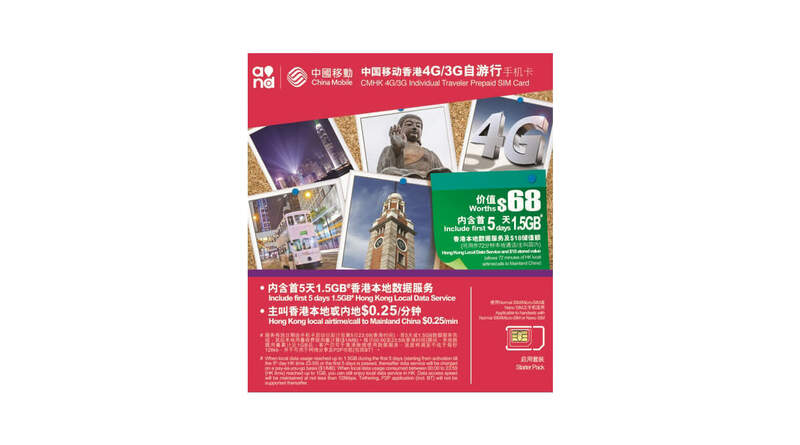 Choose from two Hong Kong Tourist SIM card types to suit your travel preferences and requirements: an unlimited data 3G SIM card valid for 8 days, or a speedier 4G SIM card with up to 3GB of use and valid for 5 days. the pick up point of the sim card is very easy to locate.. very useful because 4G signal is so strong that even on the underwater ways is consistent.. internet will be very handy specially when you are travelling on your own.. you can reload at any 7/11 stores. the best part is it is preloaded with 18 hkd. the pick up point of the sim card is very easy to locate.. very useful because 4G signal is so strong that even on the underwater ways is consistent.. internet will be very handy specially when you are travelling on your own.. you can reload at any 7/11 stores. the best part is it is preloaded with 18 hkd. this sim card very helpfull and best..i can make my ig story..live on instagram and facebook. i can find place by google maps nad make my life at hong kong very easy. love this simcard and will buy for the next trip with klook apps..i very happy and enjoy with this trip because i can upload all the pic with unlimited internet.. this sim card very helpfull and best..i can make my ig story..live on instagram and facebook. i can find place by google maps nad make my life at hong kong very easy. love this simcard and will buy for the next trip with klook apps..i very happy and enjoy with this trip because i can upload all the pic with unlimited internet..
Our vacation in Hong Kong made it easier with the sim card that we purchased from Klook. Easy to activate and worry free about going anywhere. Very easy in finding restaurants that you really want to go because you have internet on the go any time, any where. The Best! Our vacation in Hong Kong made it easier with the sim card that we purchased from Klook. Easy to activate and worry free about going anywhere. Very easy in finding restaurants that you really want to go because you have internet on the go any time, any where. The Best! very very helpful with our three days in hongkong. the internet is very fast too. very usable in navigating for google map. hongkong is a very beatiful Its just that, chinese people are so mean, irritable and disrestpectful. They do love shouting to their customers. LOL. and they dont speak english well so its very hard to talk or ask them. thankfully we have internet to search to. very very helpful with our three days in hongkong. the internet is very fast too. very usable in navigating for google map. hongkong is a very beatiful Its just that, chinese people are so mean, irritable and disrestpectful. They do love shouting to their customers. LOL. and they dont speak english well so its very hard to talk or ask them. thankfully we have internet to search to. we had a very long itinerary during our hong kong trip so we really prioritized having 4G Hong Kong sim cards. I was with my boyfriend and we had our own sim cards. we were afraid to be separated so communication is very important. the sim cards include free few minutes of local calls and I believe there is also for text messages. we have used the calls when he cant find me during night shoppings. also one of the most important features is the internet data, so we can use google, waze and other apps before and during our diy tour. we also installed mtr and disney app so we really need data for those to work. it's also important for us to be updated in our social medias like facebook and instagram. this is a must have for diy travels! we had a very long itinerary during our hong kong trip so we really prioritized having 4G Hong Kong sim cards. I was with my boyfriend and we had our own sim cards. we were afraid to be separated so communication is very important. the sim cards include free few minutes of local calls and I believe there is also for text messages. we have used the calls when he cant find me during night shoppings. also one of the most important features is the internet data, so we can use google, waze and other apps before and during our diy tour. we also installed mtr and disney app so we really need data for those to work. it's also important for us to be updated in our social medias like facebook and instagram. this is a must have for diy travels! Redeeming the sim card is easy as the booth is also easy to find. Connection was fast. I was able to post some of these photos on my social media accounts and it helped me navigate the places I want to visit. Redeeming the sim card is easy as the booth is also easy to find. Connection was fast. I was able to post some of these photos on my social media accounts and it helped me navigate the places I want to visit. The booth for SIM card pick up is conveniently located at the arrivals area of the Hong Kong International Airport. Pickup process and SIM card registration are both simple and easy. The connectivity and signal strength is excellent across all tourist spots. The booth for SIM card pick up is conveniently located at the arrivals area of the Hong Kong International Airport. Pickup process and SIM card registration are both simple and easy. The connectivity and signal strength is excellent across all tourist spots. Q: I am not sure how this SIM card works - is a 4G connection guaranteed, or is it 3G only? Q: Can I use this SIM as a hotspot? A: No, hotspot services are not available for this SIM card.